This recipe is for my mom and my friend Sarah. After a wild day of trying to figure out the French driving rules in Nice, being chased by a cheery naked man in a public park, and trying to explain to the French gendarmes what exactly we saw in our very broken French, we were greatly relieved to find a little bistro that served exceptional mushroom risotto. We sat down at our table and I asked Sarah, what kind of wine she preferred. Sarah, our friend from Tennessee, said "White" as only someone from Tennessee can say "White." My mom and I looked at each other and my mom promptly ordered a bottle of red. The good news is Sarah was a champ. She quickly realigned her wine preferences to match ours and only ordered red wine for the remainder of the trip. The mushroom risotto was so delicious, that we returned the next night to enjoy the risotto again. Mushroom risotto is an earthy, robust risotto. You can use fresh mushrooms or a combination of fresh and dried mushrooms. I personally prefer the combination, as I think it increases the depth of the mushroom flavor. I like to plate this mushroom risotto on a bed of fresh arugula. The arugula adds color, texture and nutrition to this rich rice dish. 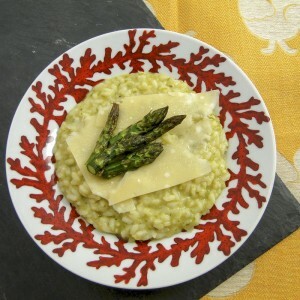 Please read my method post on how to make risotto before beginning this recipe. Once you have an understanding of the risotto process, following a recipe will be less important and you will be able to improvise with whatever fresh ingredients you have on hand. Once you get the technique down, you will find making risotto to be a reasonably quick, creative and very satisfying process. Mushroom risotto is a great dish to serve as your main course on a Meatless Monday. 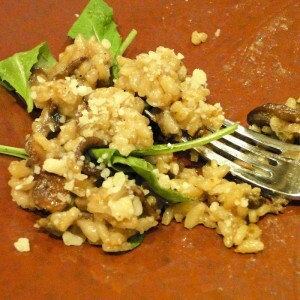 This madeira infused mushroom risotto is an earthy fragrant treat. 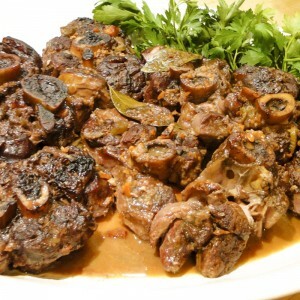 I use a variety of fresh and dried mushrooms to layer the mushroom flavor. Put chicken stock in a large pan and bring to a near boil. Reduce to simmer. Rinse the dried mushrooms and then soak them in madeira for 20 minutes. 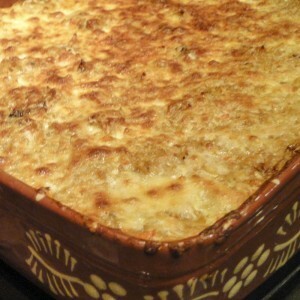 When the mushrooms have softened, strain the mushrooms through a piece of cheese cloth, retaining the residual madeira. Chop the rehydrated mushrooms into 1/4 inch pieces. Sauté both the dried and fresh mushrooms in 2 T olive oil and 2 T butter until tender, about 10 minutes. Stir in fresh thyme. Turn off heat. Heat 2 T of olive oil in a large heavy bottomed pot, such as a dutch oven. Add onions and saute until soft, but not brown. Add garlic and sauté briefly, taking care not to brown. Add rice to onion and garlic mixture, stirring to coat each grain with oil. Cook about 3 minutes. Rice will be translucent on the edges with a solid white core. Add residual madeira, stirring until absorbed. Once madeira is absorbed, add chicken stock, one ladle at a time, stirring after each ladle until stock is incorporated, before adding next ladle. Continue adding stock and stirring for 20 to 30 minutes until rice is tender and creamy. Briefly reheat mushroom mixture and add to rice right before rice is done. Rice should be al dente. Cooked through, not crunchy and not over cooked. Remove risotto from heat and stir in 1/2 cup grated cheese. Reserve remaining half cup of grated cheese to pass at the table. 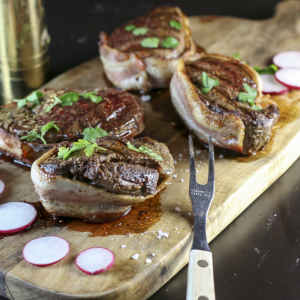 To serve, put a small bed of fresh arugula on each plate. Top with a scoop of risotto.